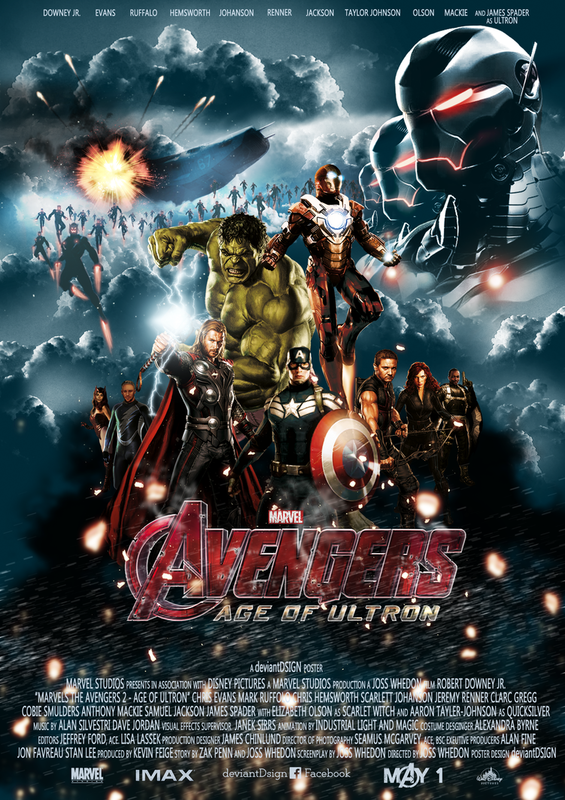 We’re bringing you the next brand new trailer for ‘Avengers: Age of Ultron‘!!! Last night during the ESPN coverage of the College Football Playoff National Championship, Marvel dropped the new clip. Joss Whedon brilliantly directed the first ‘Avengers’ and we see those high expectations every bit equalled in the all-too-short trailer, the haunting music laid over the clip is fantastic at building tension, too. Get ready for favorites like Robert Downey, Jr., Chris Hemsworth, Mark Ruffalo, Chris Evans, Scarlett Johansson, Jeremy Renner, Cobie Smulders, Stellan Skarsgard and Samuel L. Jackson to morph into some of our favorite heroes with new supes ready to be loved, or hated played by Aaron Taylor-Johnson, Elizabeth Olsen and James Spader. This movie can’t come to the big screen fast enough at May 1. Who’s as amped as I am for this?!?! This entry was posted on Tuesday, January 13th, 2015 at 8:05 am	and is filed under Comics, Film, News. You can follow any responses to this entry through the RSS 2.0 feed. You can skip to the end and leave a response. Pinging is currently not allowed. « ‘Sisters’ Trailer Starring Tina Fey and Amy Poehler Is Live!!!! FYI man, alright. You could sit at home, and do like absolutely nothing, and your name goes through like 17 computers a day. 1984? Yeah right, man. That's a typo. Orwell is here now. He's livin' large. We have no names, man. No names. We are nameless!